Like lambs to the slaughter, we were pinned down near Chiang Mai’s Tha Phae Gate. Sustaining heavy casualties and with our escape route blocked, we were forced to make one last, desperate stand. War is hell. Fortunately for us that wasn’t what this was. This was the water fight to end all water fights; the kind of battle I only dreamed of when I was a young boy. It was 12 April and Songkran was starting early. The battle for Chiang Mai had begun. If you don’t know what I’m talking about then please allow me to explain. 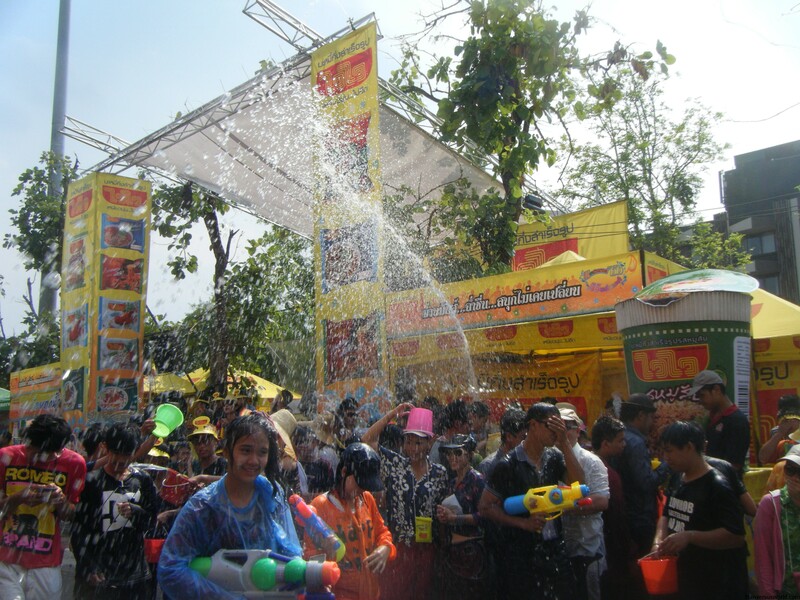 Songkran is the festival of the Thai New Year, which is celebrated annually from 13-15 April. A water festival of epic proportions, Songkran sees seemingly every man, woman and child in every town, village and city in Thailand arm themselves with flamboyantly coloured water guns – and buckets – and take to the streets. 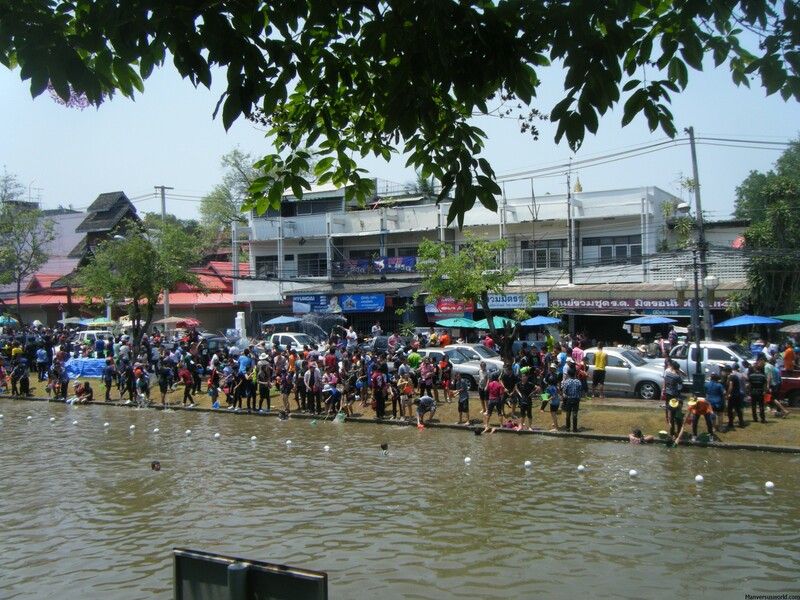 A lot of businesses stop trading during Songkran and traffic becomes gridlocked in Thailand’s major cities as people take the water fight to the streets, soaking each other and absolutely everyone and everything in the vicinity. 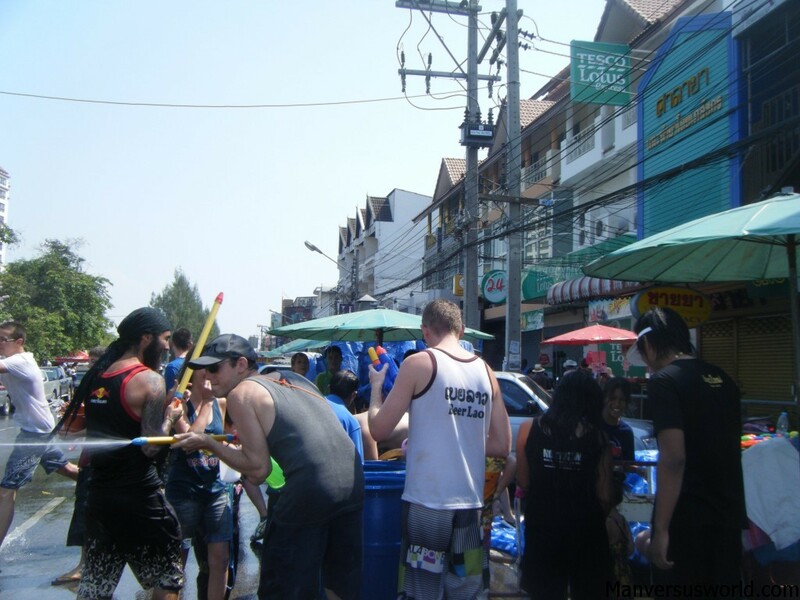 It is virtually impossible to stay dry during Songkran as even passengers in open-air vehicles, tuk-tuks and cars with their windows down become sitting ducks. Meanwhile, balconies and narrow streets become water-fight death traps as one wrong move leads to a soaking. The rules are fairly clear cut: besides monks and really, really old people, soak absolutely everybody. Chaos doesn’t just reign in Chiang Mai; it pours. And Chiang Mai, not Bangkok, is undoubtedly the place to be during Thailand’s Songkran festival – that is, if you think you can handle it. On every street, alley and balcony, there will be locals and tourists alike waiting to confront you with a water pistol, Super Soaker or bucket of water. Often it’s icy water, too, made shockingly cold by heavy slabs of ice left to melt in the hot Chiang Mai sun. The historic city moat that surrounds Chiang Mai acts as a giant swimming pool, along which the serious water fighting takes places. Thousands of people stand along its muddy banks, refilling their weapons with its water and – just as quickly – emptying it on passing pedestrians and traffic. The festival starts early, finishes late and attracts thousands of tourists to Chiang Mai. Accommodation fills up fast, with some guest houses, hostels and hotels even putting their prices up during the festivities. Many locals don Halloween masks and fling water from the backs of vehicles all day long. At night, the Chiang May Walking Street Market comes to life, providing tired water soldiers with warm meals from the plentiful food stalls. Leaving my Chiang Mai guesthouse on the morning of 12 April, I could hear screaming and shouting in the distance. Unarmed and unnerved, I began my walk to the main street, only to be cornered by a gang of local youths with super soakers. By “youths” I mean children and by “gang” I mean there were two of them. Bright-eyed with devil-may-care grins on their tiny faces, they proceeded to soak every inch of me as I tried to run past them. 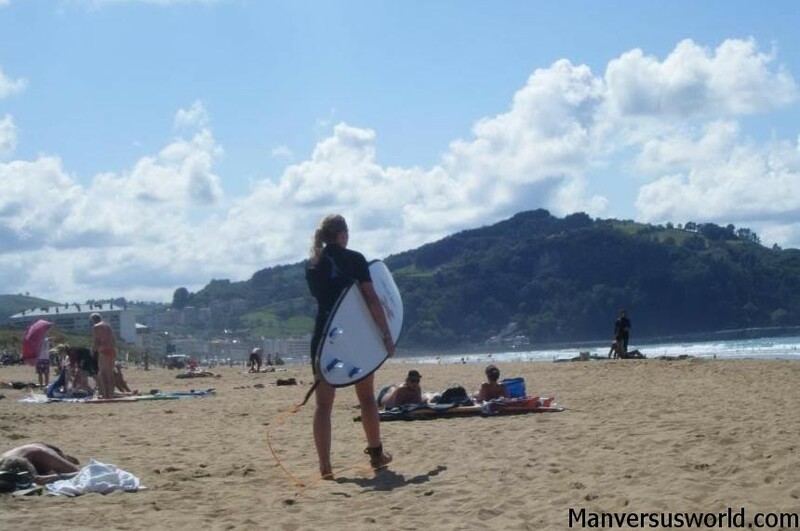 For many locals, “mercy” is literally not in their vocabulary. Unarmed or not, they will soak you where you stand. Later, I armed myself with a moderately priced water gun – big enough to wet people but not big enough that I would be gutted to leave it behind when Songkran finished – and teamed up with a rag-tag group of freedom fighters sitting on a large cache of ammunition. That is to say they were standing in front of a number of barrels of water that were constantly being replenished. With blisters on my trigger fingers I soon ditched my gun in favour of a far more effective weapon: a bucket. For much of the rest of Songkran in Chiang Mai, I toured both sides of the city moat, the true heart of the city’s Songkran celebrations. This is where you get really, really wet, with people dancing in the streets, soaking you from all possible sides. You know it’s Songkran in Chiang Mai when the sun is shining with nary a cloud in the sky and yet it will not stop raining. There is an unofficial cease fire at nightfall. However, beware of over-zealous travellers and locals who don’t know when to quit. Arm yourself as soon as you can. Songkran may officially start on 13 April but all’s fair in love and war – right? “Mercy” is but an English word with no meaning. Prepare to be drenched. Trust no-one and do not turn your back for too long. Try not to kill anybody. Hundreds of people are killed every year in Thailand during the “seven dangerous days of Songkran”. Leave your camera at home unless you want it to be soaked like everything else. Songkran is a Thailand-wide festival of water. You will get very wet. 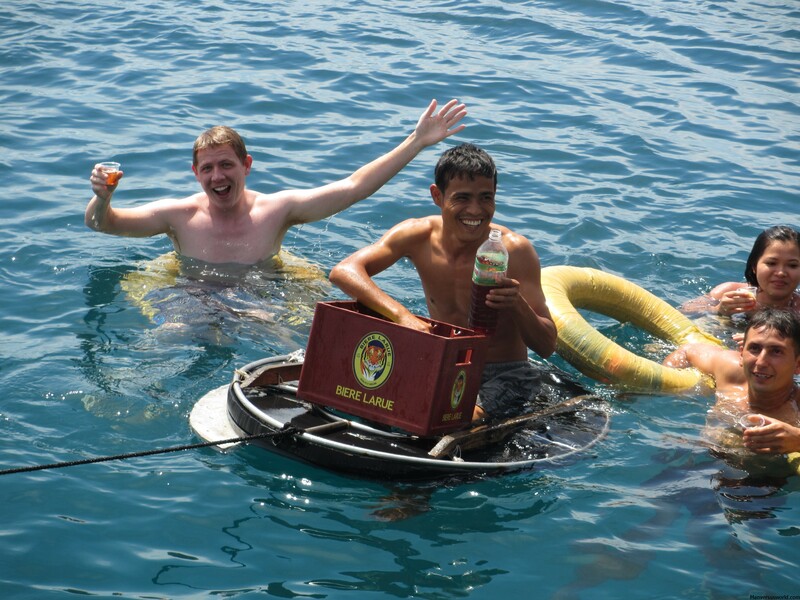 If that is not your idea of a good time then avoid travelling to Thailand during the festival. 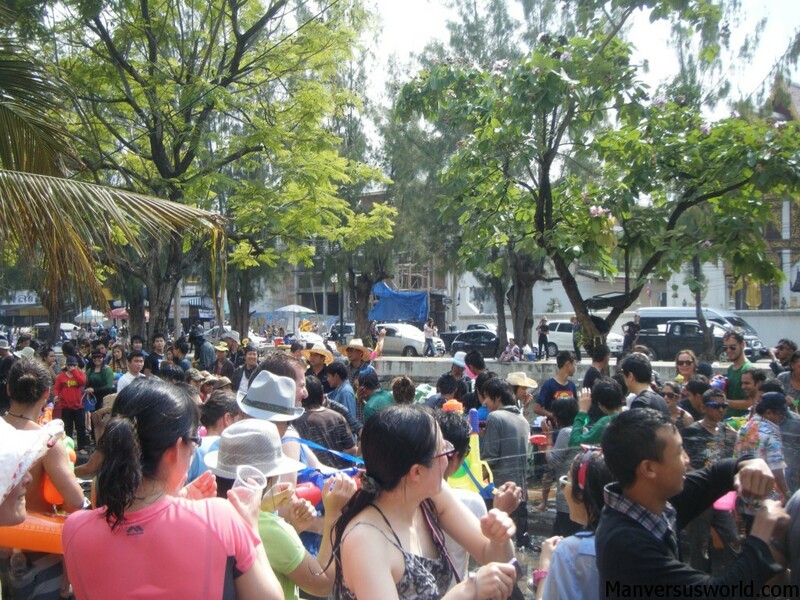 Accommodation fills up fast in Chiang Mai over Songkran, as it does in many other places throughout Thailand. Book or make sure you get there early to secure a room. Relax. 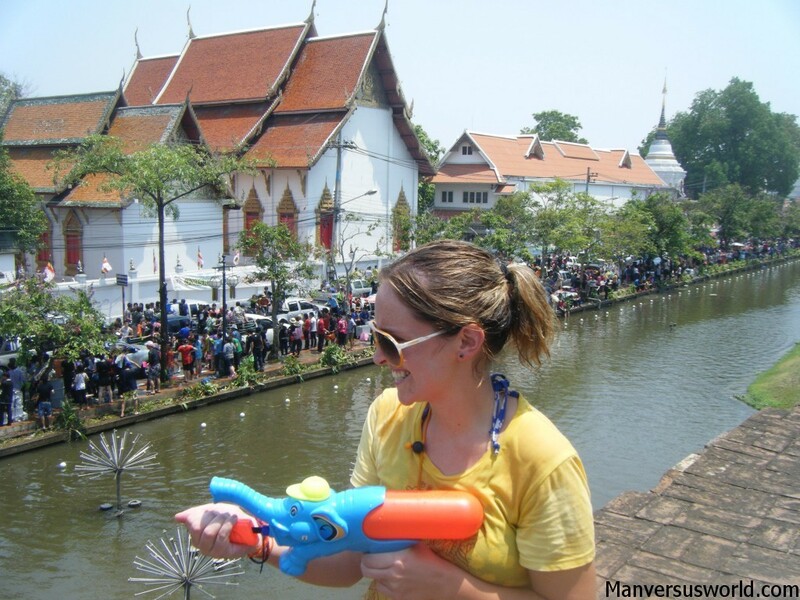 Songkran does go on for a long time and you may be tired of it by the end but remember to relax, party Thai-style and embrace the festival for what it is: the biggest water fight on the planet. 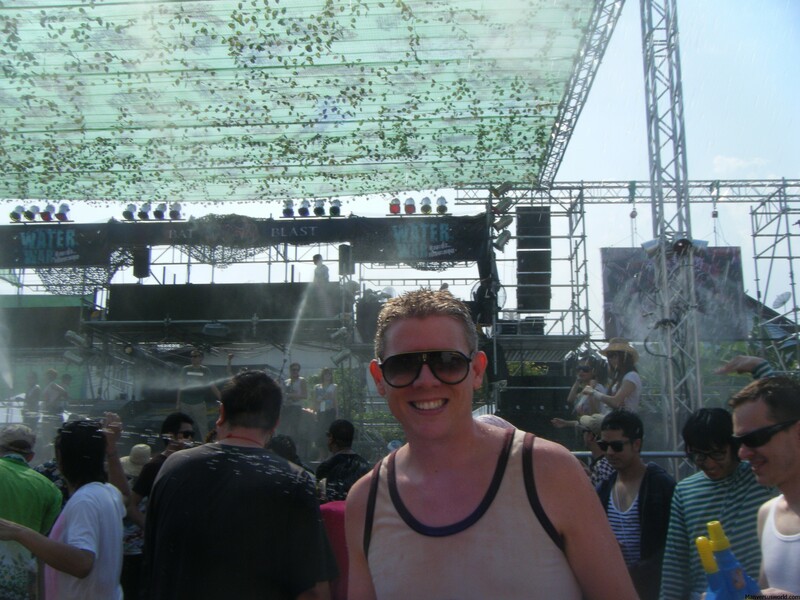 Chiang Mai is great on Songkran! But for me, I play it so often already, now I like it more quiet – sometime around Chiang Mai and also Khaosan in Bangkok it’s too wild for me haha. Good advice, especially about road safety. Great photos! Was your camera in danger of getting drenched? I love reading about Songkran every year. It looks/sounds like SO much fun! I definitely want to try to be in Thailand one of these years during it. 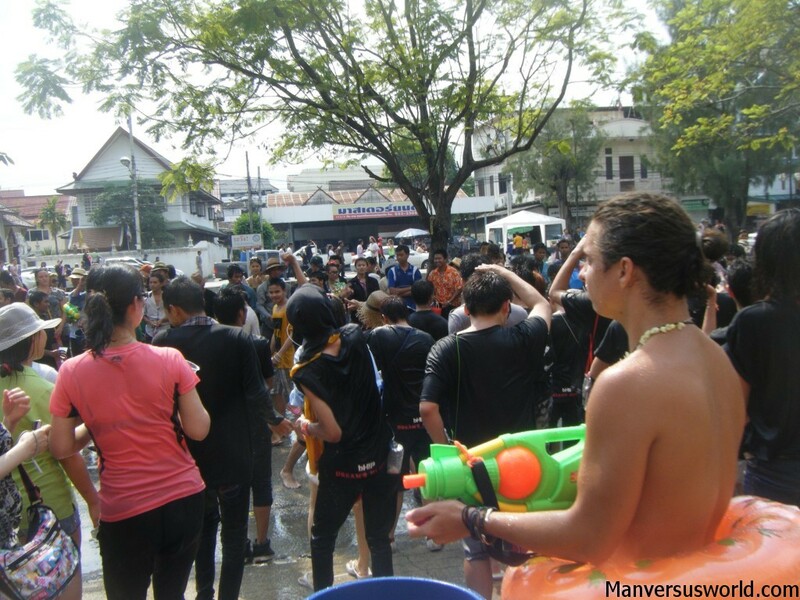 Songkran is heaps of fun – you should definitely check it out next time. With such a great festive atmosphere it’s easy to get carried away, dancing on the streets pretty much from dawn to dusk!